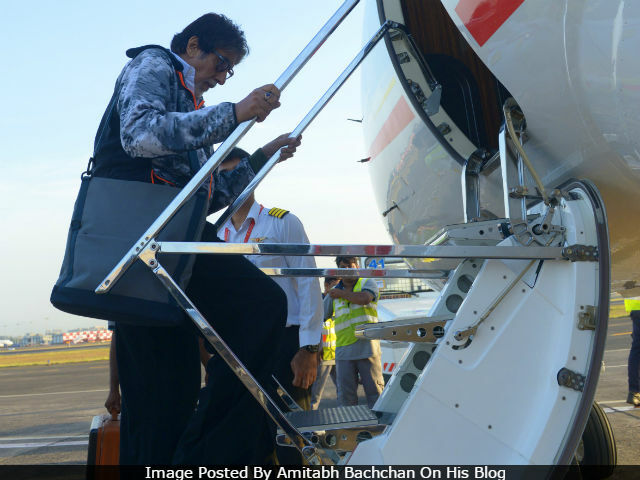 Actor Amitabh Bachchan has completed the Malta schedule of his upcoming film Thugs Of Hindostan. The 74-year-old actor has kept his fans and followers on social media updated about the shoot by posting pictures right from the time he checked into Malta. Today, Big B shared a picturesque image of the set on Twitter and wrote: "Back to base. Travelling now after completion of my first schedule of TOH ..!" Thugs Of Hindostan is being directed by Vijay Krishna Acharya. The film also stars Aamir Khan, Katrina Kaif and Fatima Sana Shaikh. Thugs Of Hindostan is Amitabh Bachchan and Aamir Khan's first film together. Recently, Aamir Khan's pierced look for the film was widely shared on social media. Ear and nose piercing: #AamirKhan goes through a 'painful' transformation for #ThugsofHindostan. The shoot for Thugs Of Hindostan began last month. The film is an adaptation of the 1839 novel Confessions of a Thug. Thugs Of Hindostan marks Aamir Khan's second collaboration with filmmaker Vijay Krishna Acharya, after Dhoom 3. It is also his second film with co-stars Katrina and Fatima. Dhoom 3 was Aamir and Katrina's first film together. Meanwhile, Fatima made her Bollywood debut with Aamir's Dangal. Thugs Of Hindostan is expected to release on Diwali next year. Amitabh Bachchan was last seen Ram Gopal Varma's Sarkar 3, along with Jackie Shroff, Manoj Bajpayee, Amit Sadh and Yami Gautam. He will next be seen in Umesh Shukla's 102 Not Out opposite Rishi Kapoor. The film is slated to release on December 1.